Database help? I got an error! 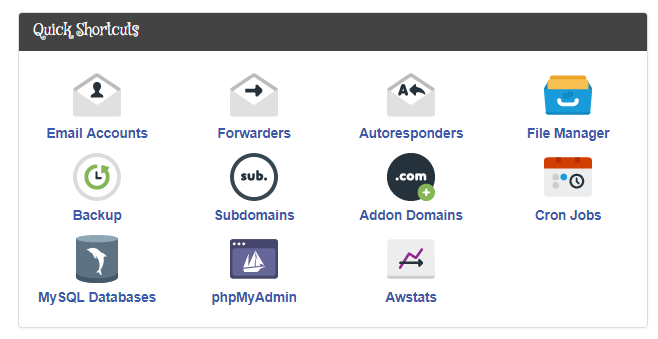 You need to make a database user in cPanel to match the information in your config.php. Did you do that? Does the database exist in phpmyadmin too? Trying to troubleshoot where the problem could be, since if you have a user for the database it should work. Do you remember what steps you took while making the site? If it isn't there, you have to click on MySQL Databases (in either the client area or cPanel) and create the database. Also don't forget to add the admin user to the database by scrolling all the way to the bottom of the MySQL databases page, under "Add user to database". Last edited by Dinocanid; 09-30-2018 at 10:12 PM.